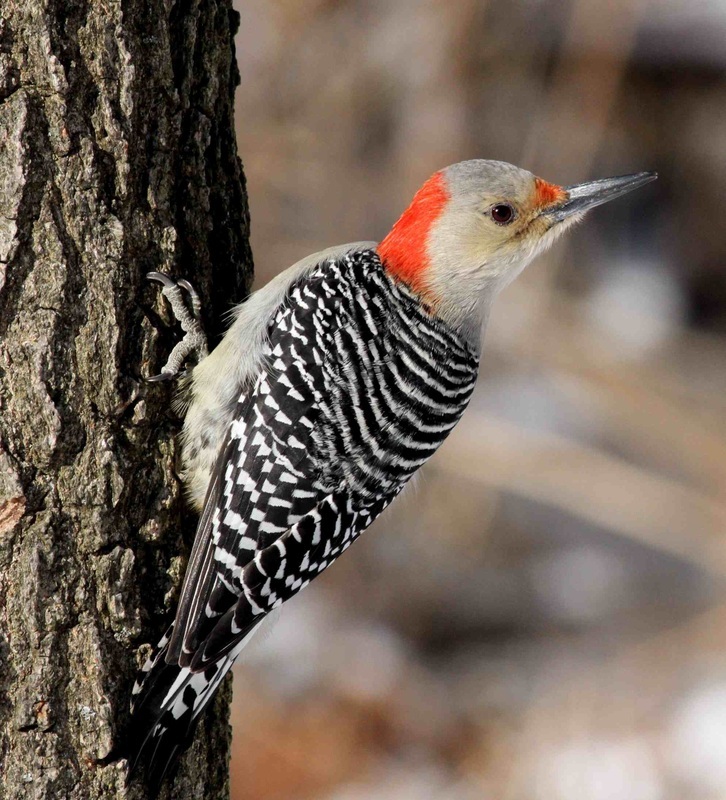 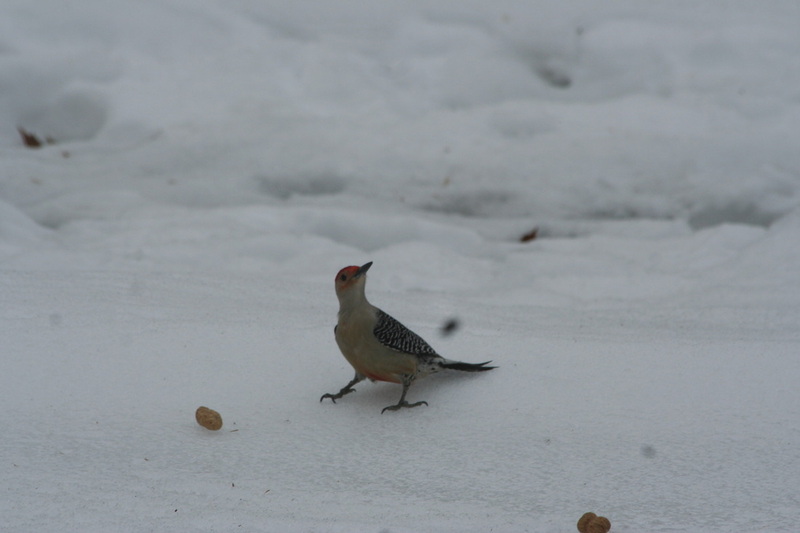 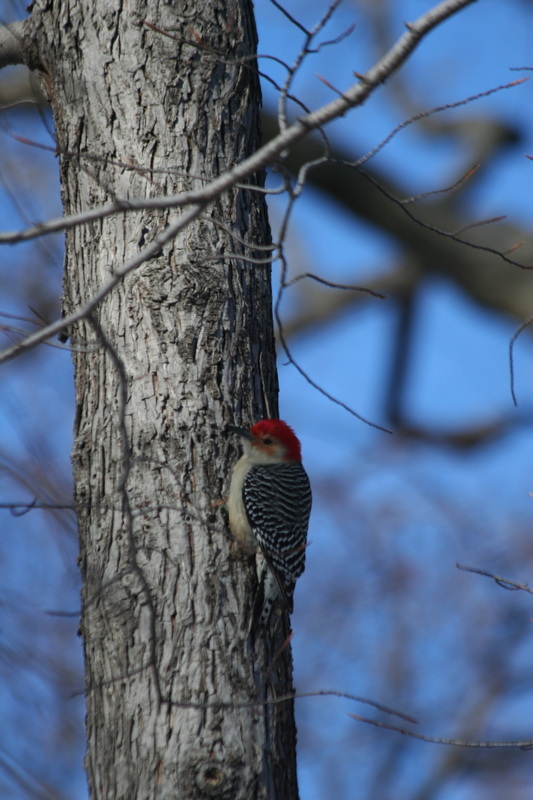 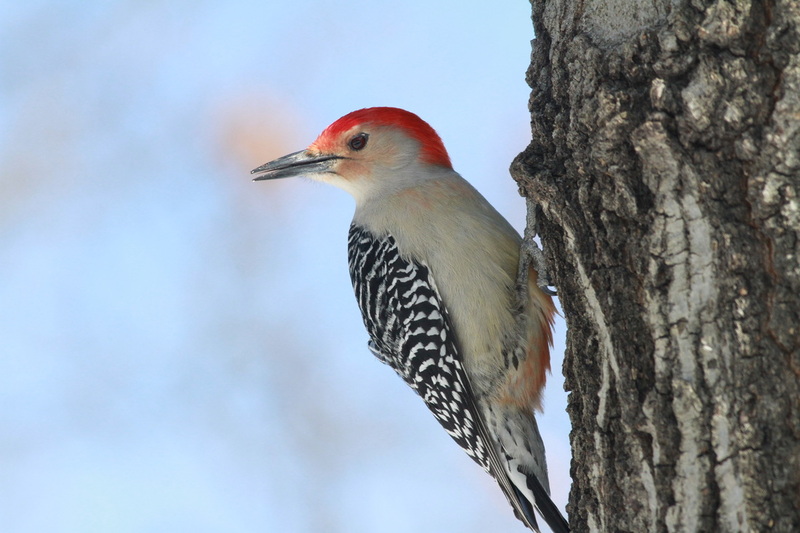 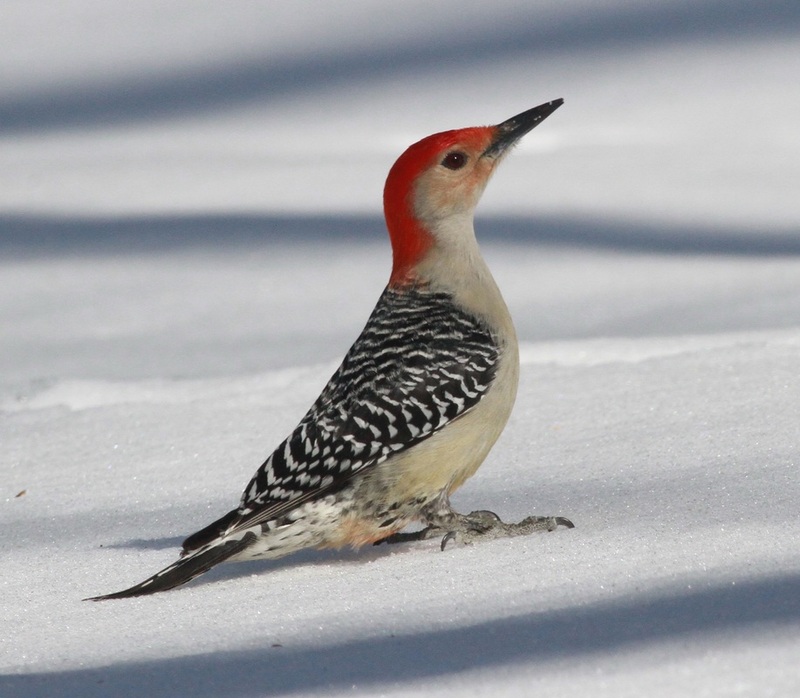 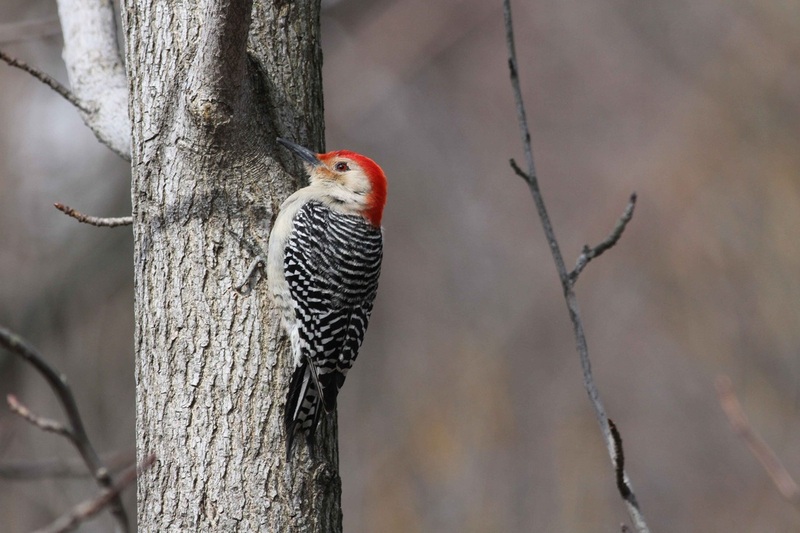 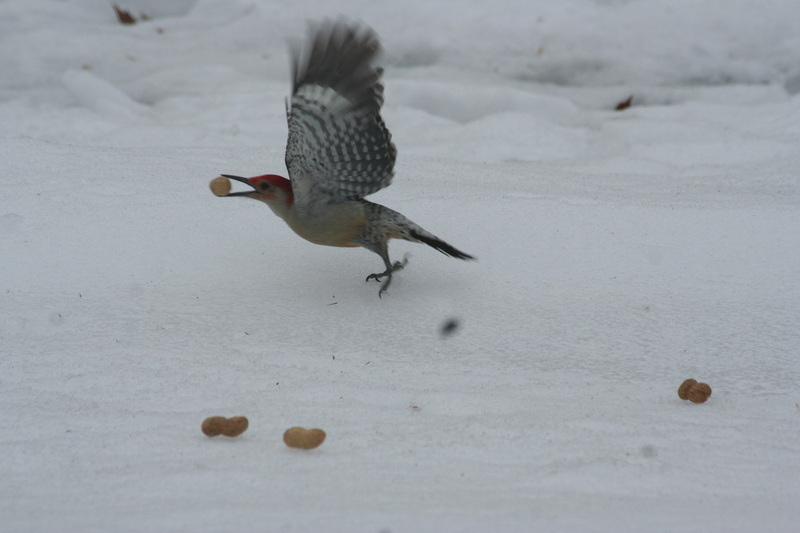 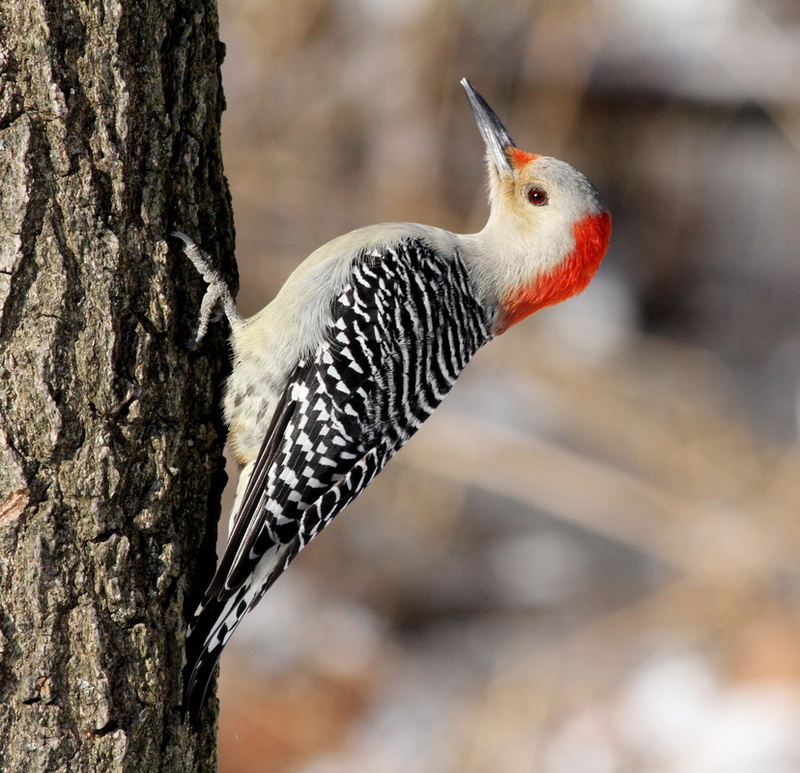 Red bellied woodpecker. 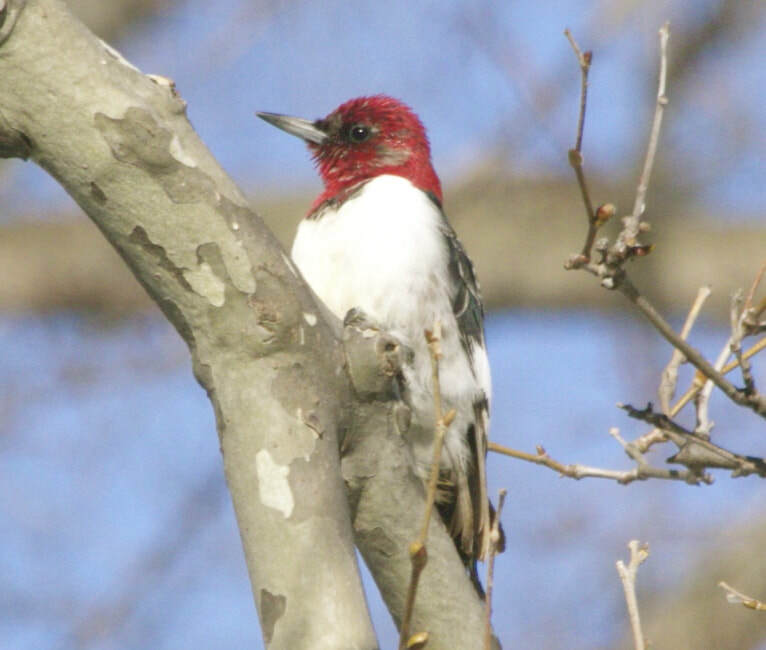 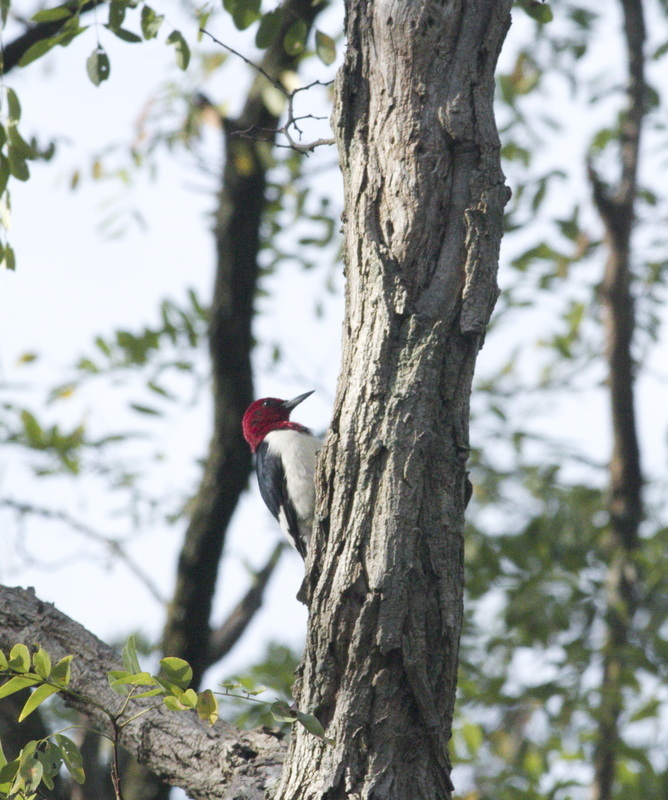 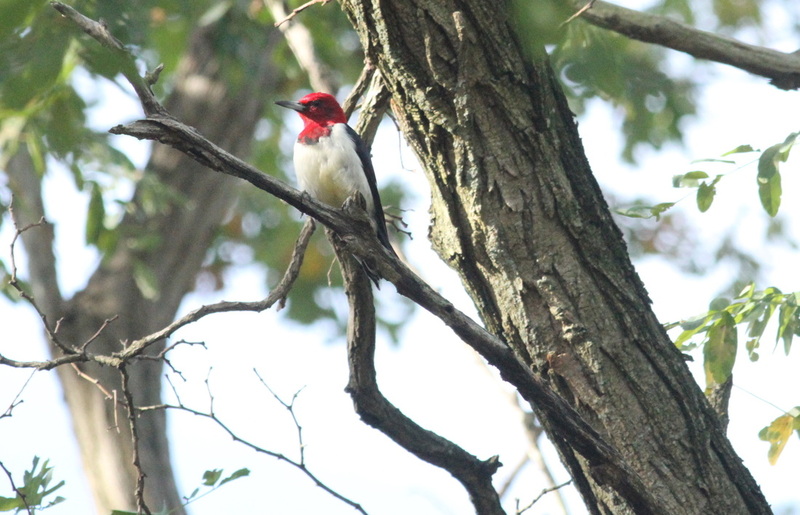 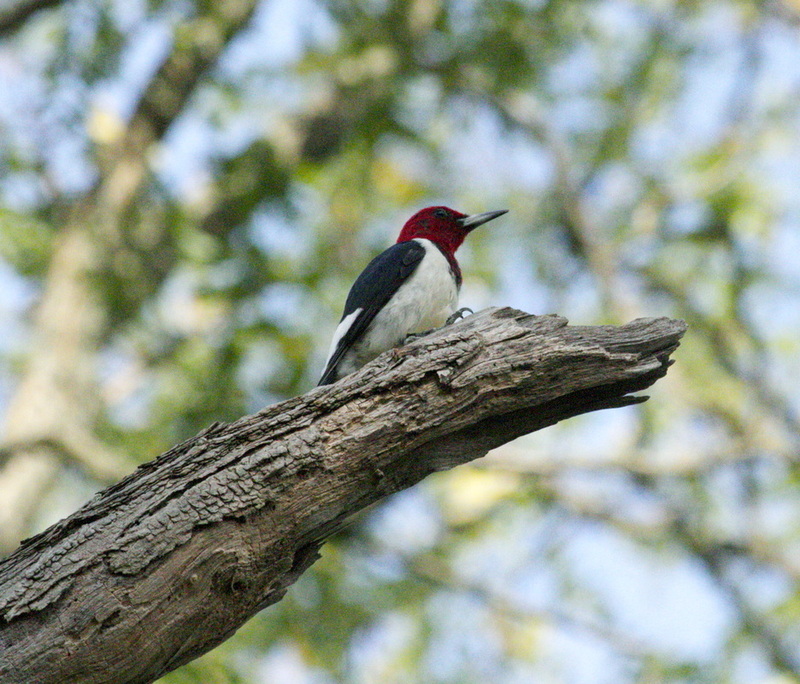 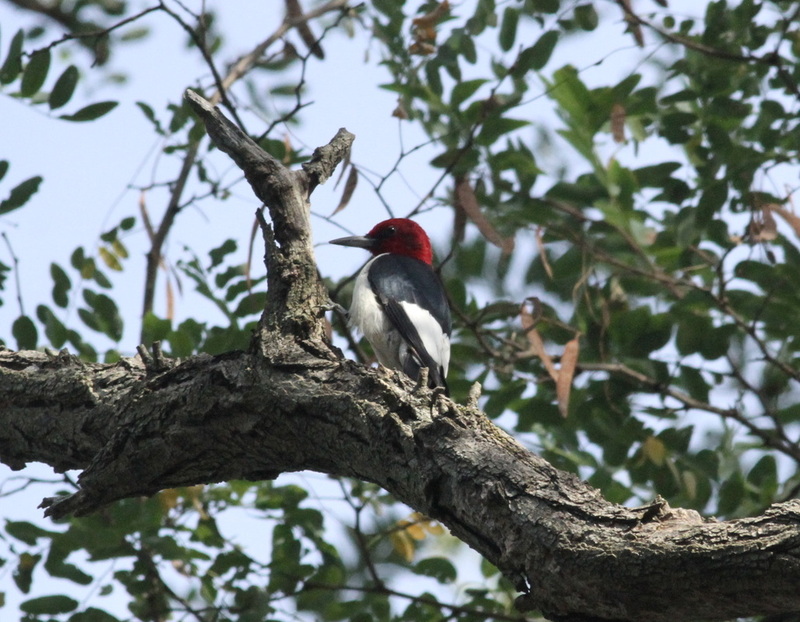 If you keep scrolling you will see a red headed woodpecker and have the chance to compare them side by side. 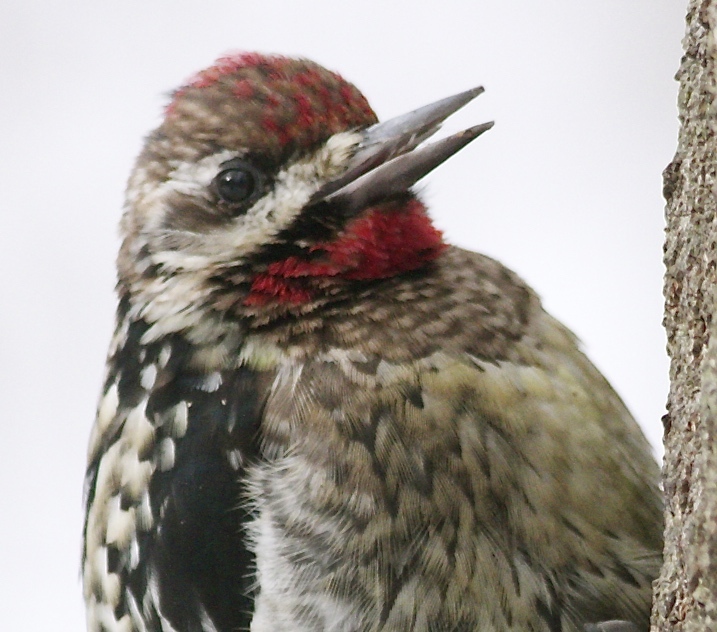 Now you can see the red belly! 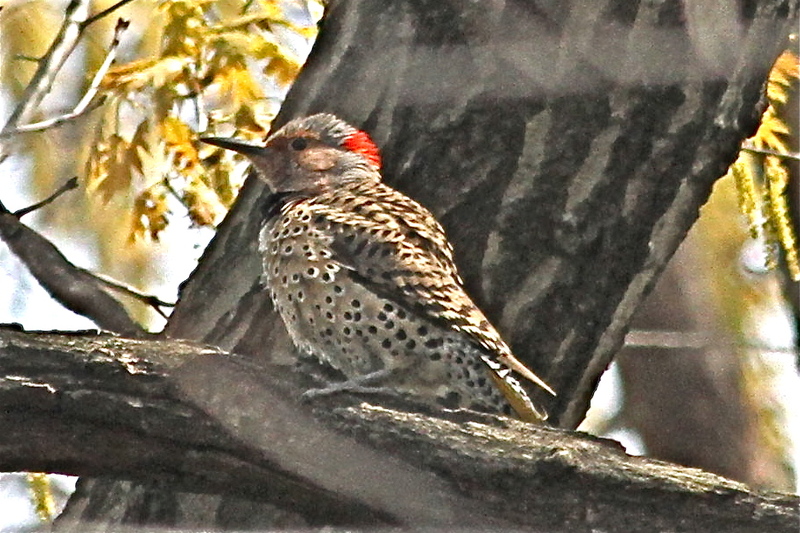 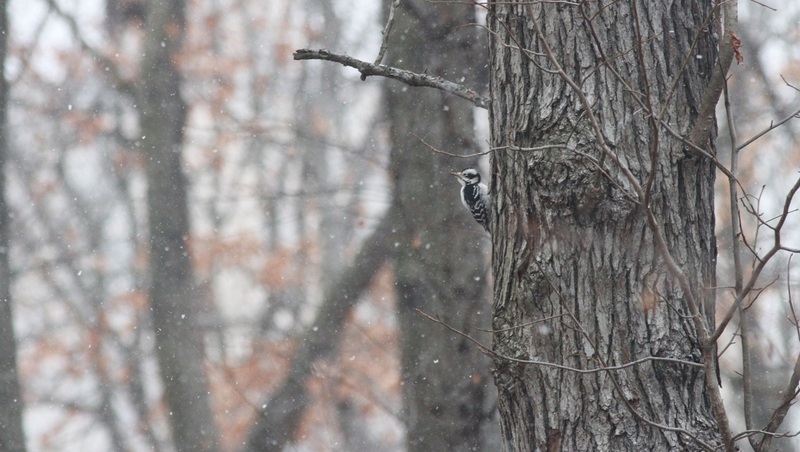 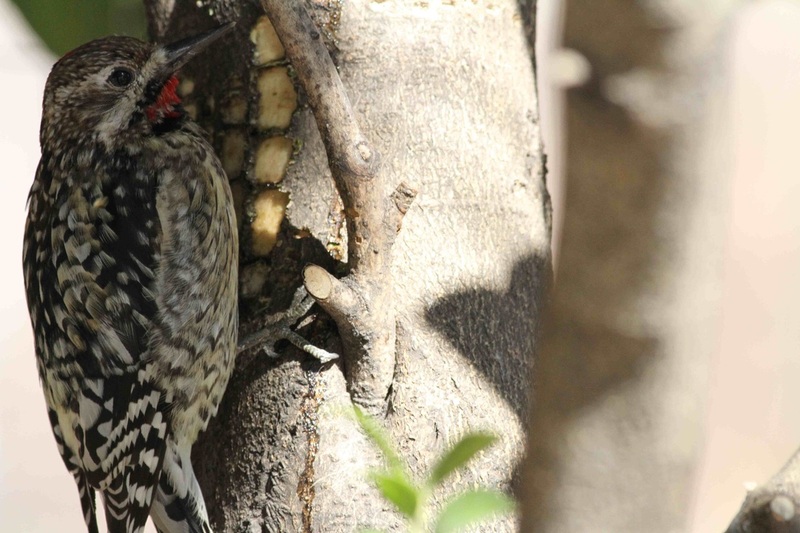 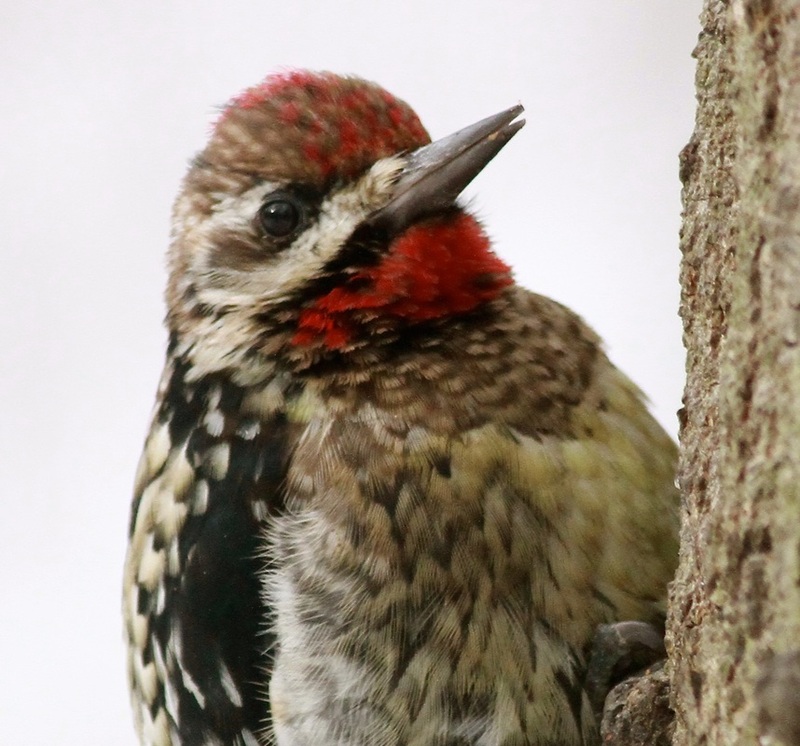 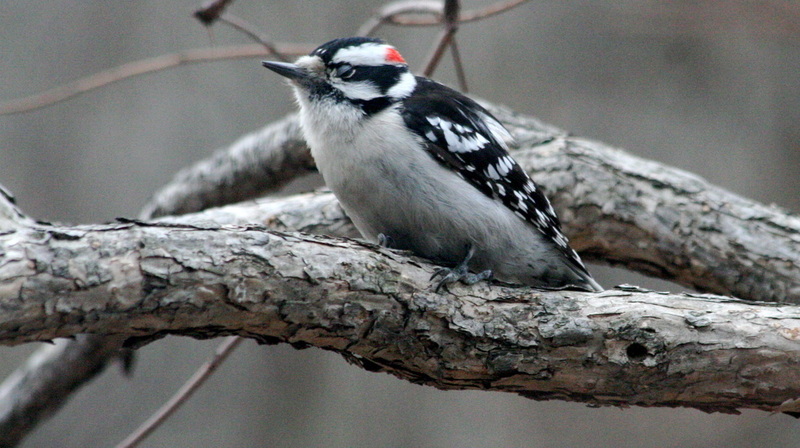 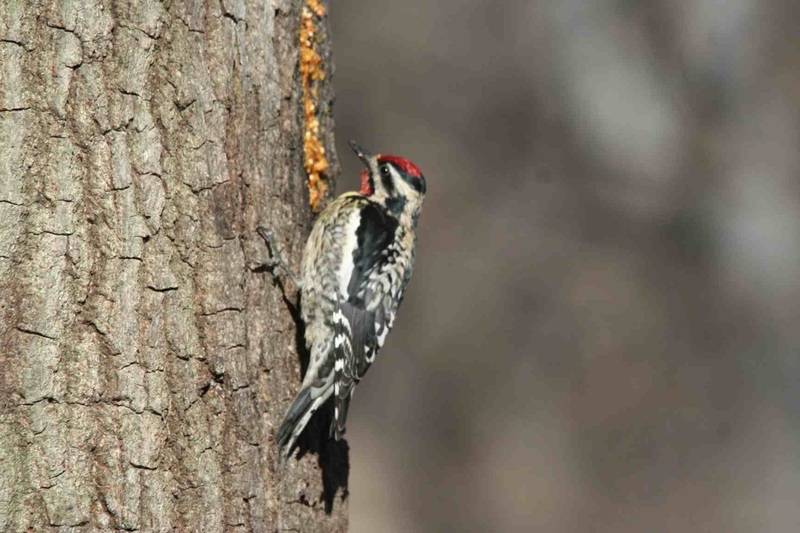 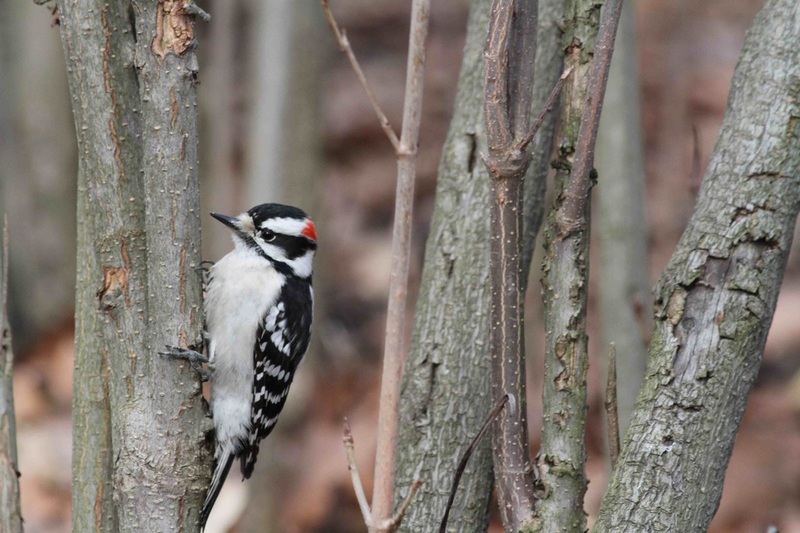 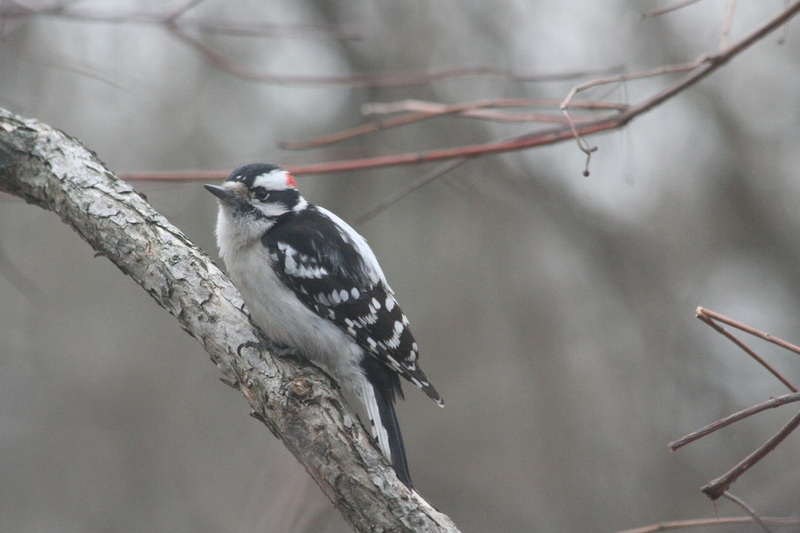 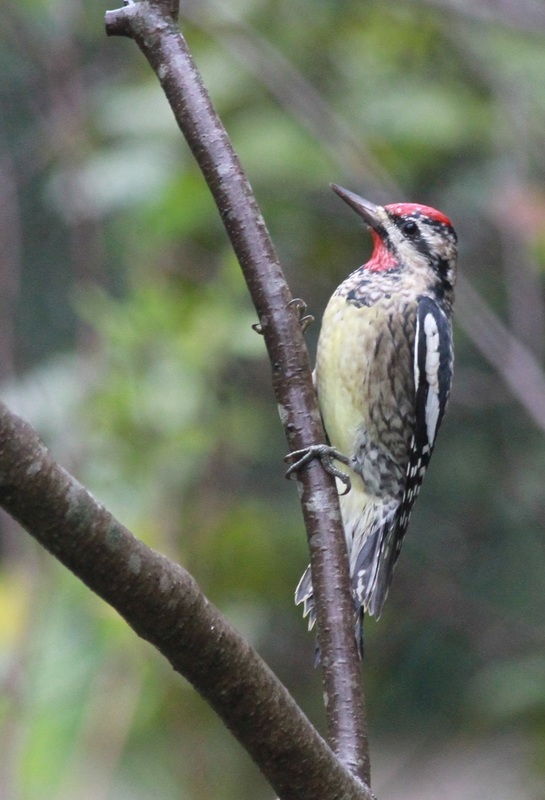 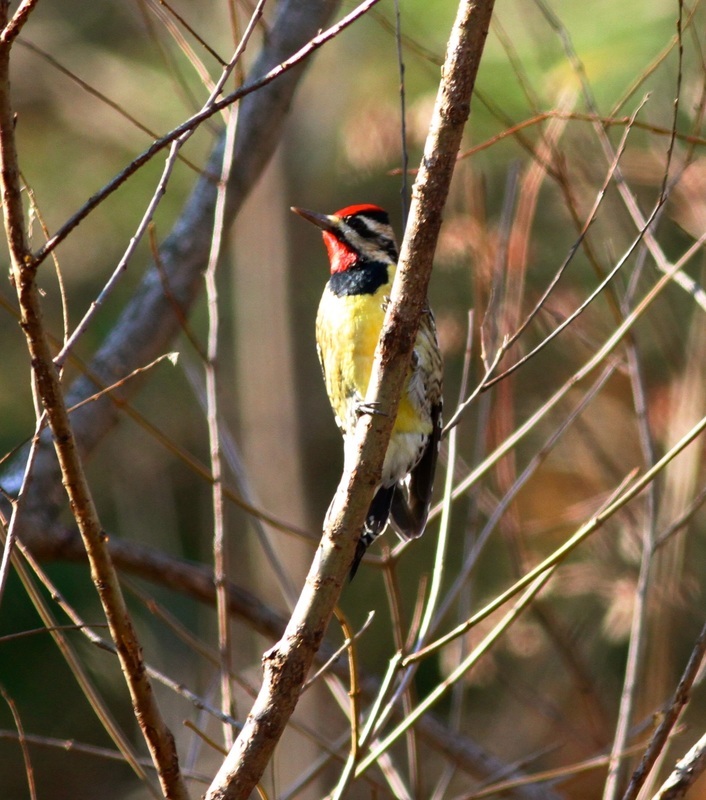 A Yellow Bellied Sapsucker makes holes in trees and waits for the tree's sap to drip down. 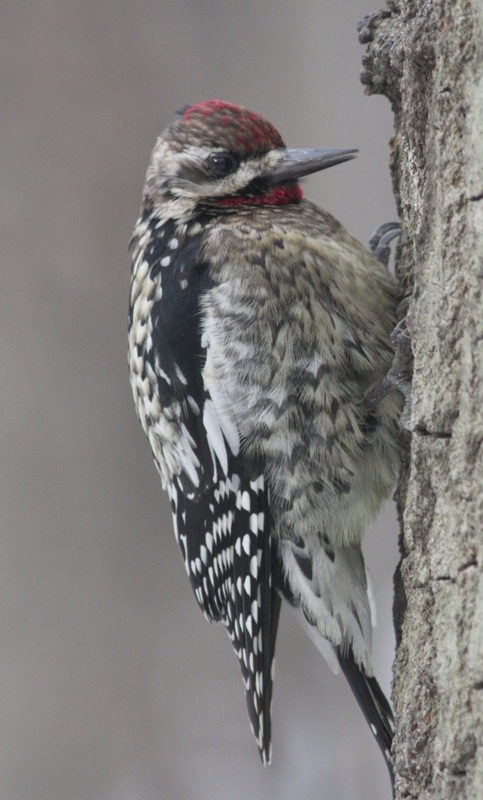 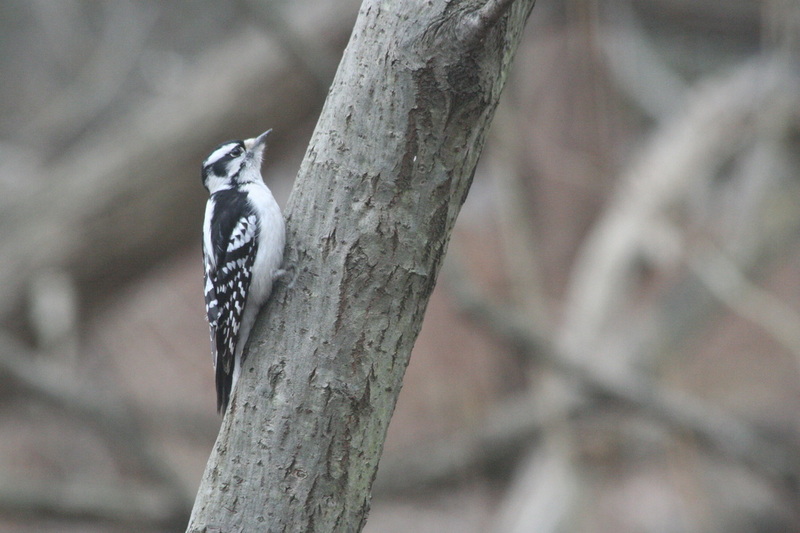 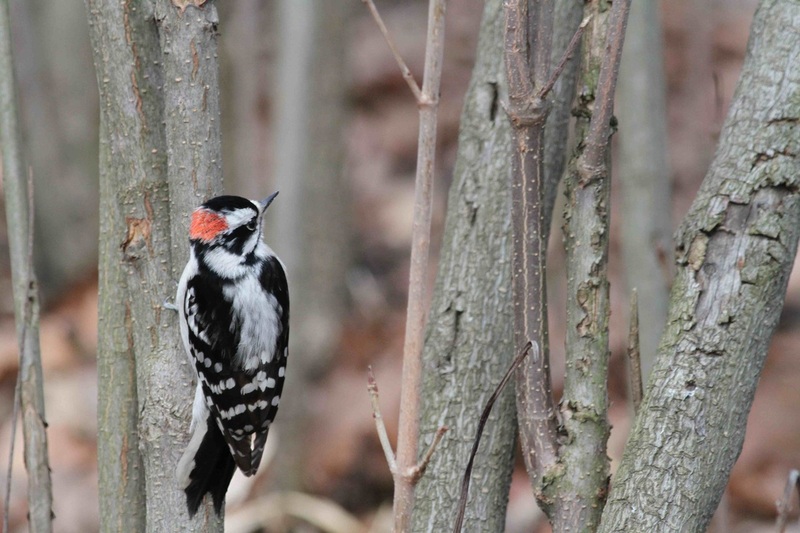 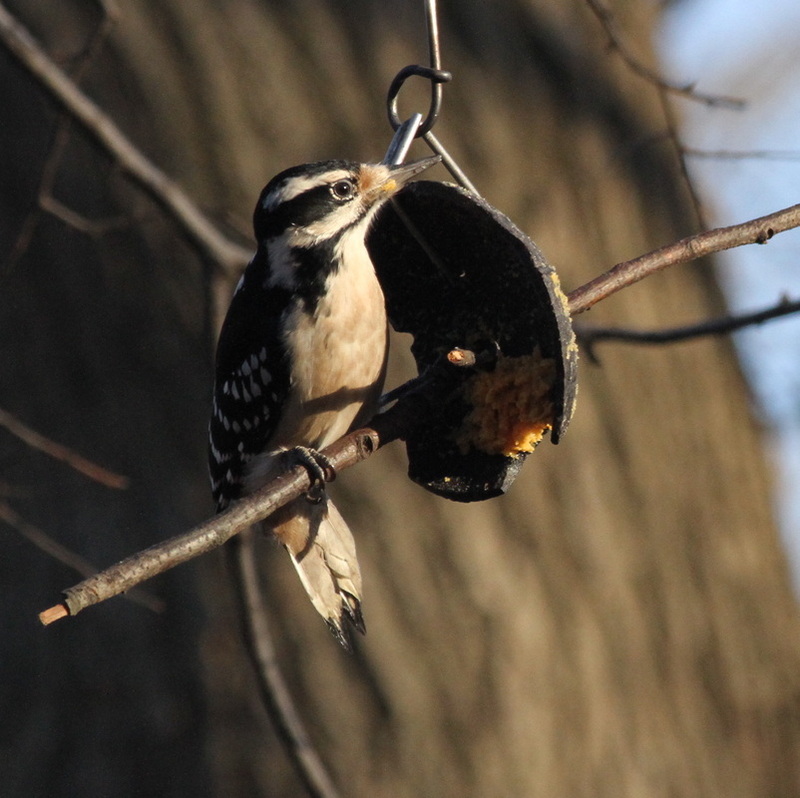 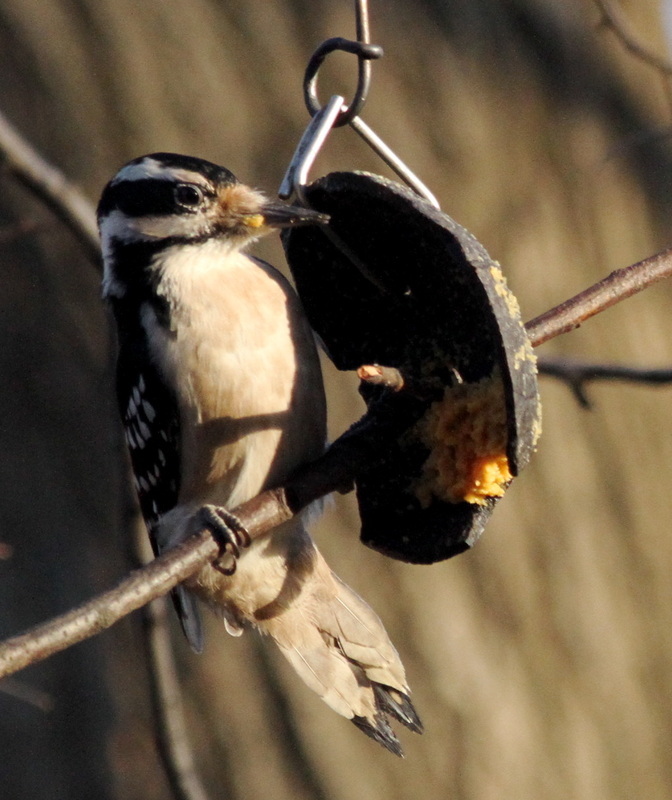 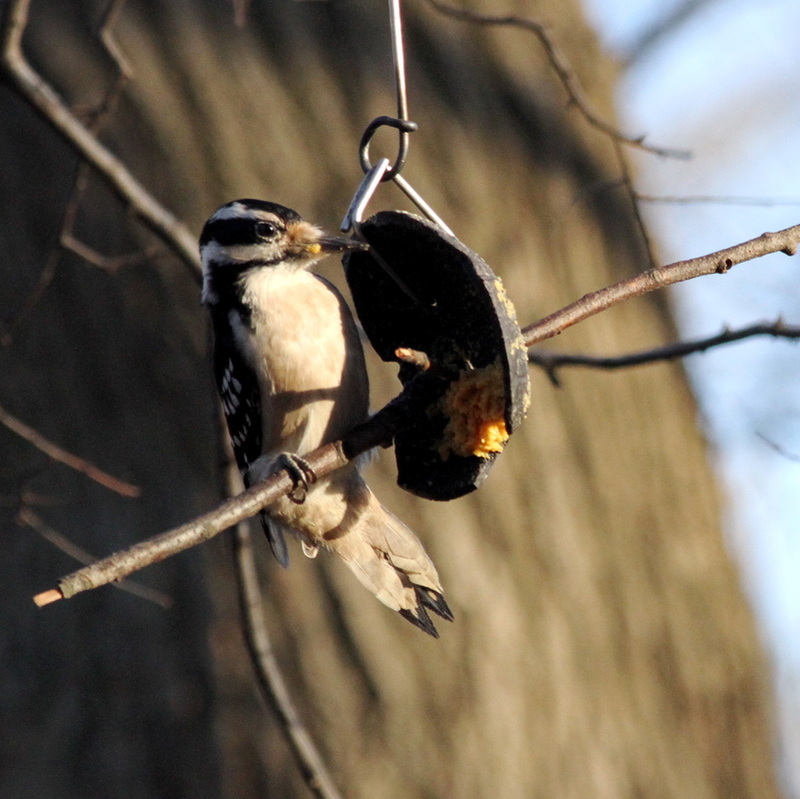 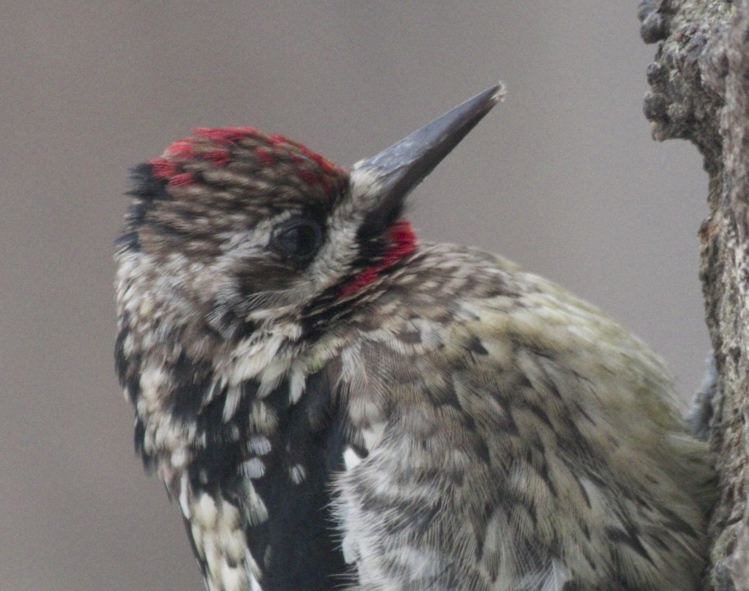 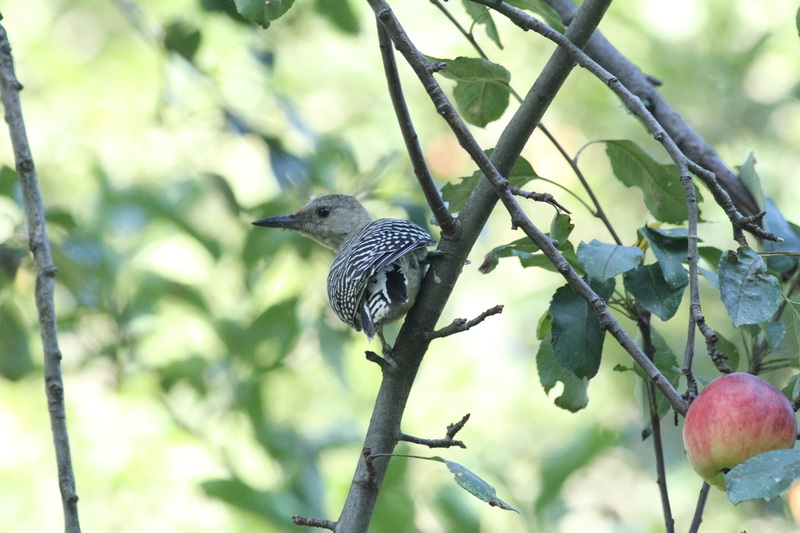 Ever so patient, the sapsucker can stay on one tree for hours, days and even months. 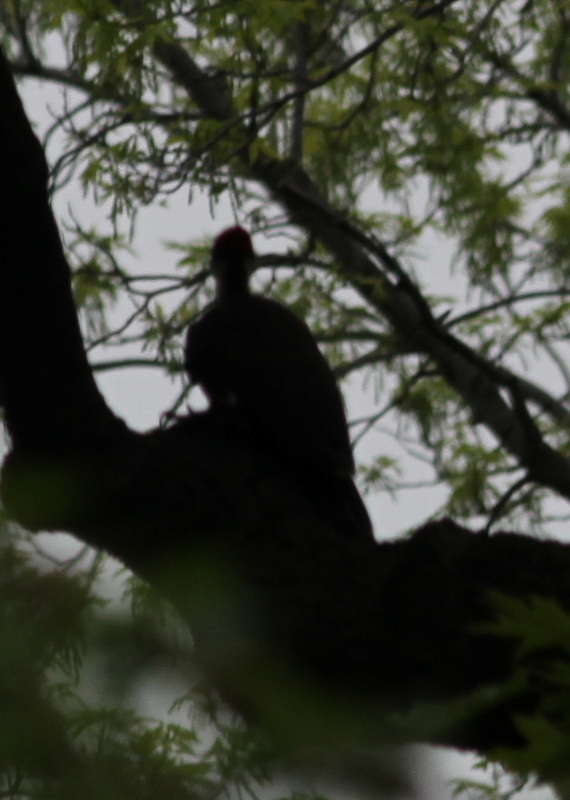 Bad picture of a record bird at The New York Botanical Garden. 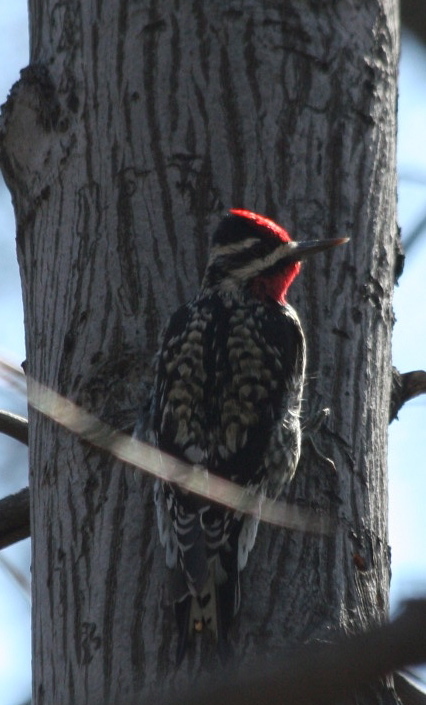 Pileated Woodpecker. 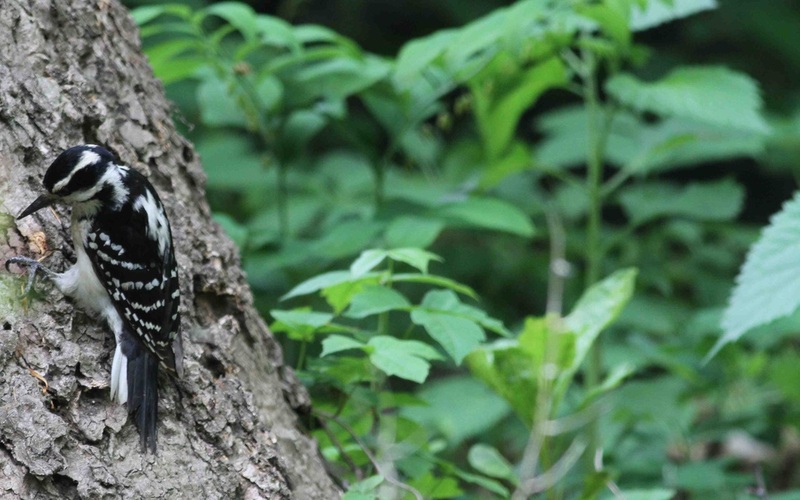 The Pileated Woodpecker has not been observed at NYBG since 1939.